“It was Criminal”: Retired NYPD Detective Slams Eric Garner Grand Jury Decision | Democracy Now! retired New York City Police Department detective. See all our coverage of the Eric Garner case. To talk more about the case, we’re joined by Graham Weatherspoon. He’s a retired detective with the New York City Police Department. Graham, welcome to Democracy Now! Could you respond to this grand jury decision? GRAHAM WEATHERSPOON: Personally, I wasn’t surprised, looking at the demographics, Staten Island. Unfortunately, throughout the city we’ve seen the same response all too often. And I try and look at things with hope, but my expectations in cases like this are very low. So, I wasn’t shocked when the grand jury came back with a vote of no true bill. AMY GOODMAN: I wanted to get your response to the president of the New York Patrolmen’s Benevolent Association, Patrick Lynch, who said, “It is clear that the officer’s intention was to do nothing more than take Mr. Garner into custody as instructed and that he used the take down technique that he learned in the academy when Mr. Garner refused.” What’s he talking about? GRAHAM WEATHERSPOON: I have no idea what Pat Lynch is talking about. I know Patrick Lynch, and we’ve interacted over the years with all of these cases from time to time. And we were not taught to use a chokehold in training. Not at all. I think that what we saw on camera was more than unfortunate; it was criminal—especially when Mr. Garner was saying, “I can’t breathe,” at that point. And it’s ironic that they’re only charging Pantaleo, when you have a group of officers acting in concert. We have to realize that a police officer gets—when a police officer gets to the point where he’s crossing from the actions of a police officer to the actions of a criminal, something has to be done. Sergeants who—a sergeant was present who could hear, just as we heard on the video, didn’t say, “All right, gentlemen, fellows, hold it. He’s on the ground. Everybody get off of him. Sir, put your hands behind your back.” That didn’t happen. And we received information from the autopsy report that he died from compression. That is the weight that was on him. Your rib cage has to expand in order for you to inhale, and if you cannot do that, you can’t take a breath in, and you will die. And the penal code is specific: It is a felony to choke somebody in New York state. It’s a C felony to cause serious physical injury as a result of cutting off a person’s air or blood supply. It is a felony crime. NERMEEN SHAIKH: Well, I want to turn to comments made by Republican Congressman Peter King of New York. He was speaking to CNN Wednesday night about the grand jury decision. REP. PETER KING: And I feel strongly the police officer should not have been indicted. I’ve been following this case from the start. You had a 350-pound person who was resisting arrest. The police were trying to bring him down as quickly as possible. If he had not had asthma and a heart condition and was so obese, almost definitely he would not have died from this. The police had no reason to know that he was in serious condition. I know people are saying that he said 11 times or seven times, “I can’t breathe.” Well, the fact is, if you can’t breathe, you can’t talk. And if you’ve ever seen anyone locked up resisting arrest—and I’ve seen it, and it’s been white guys—and they’re always saying, “You’re breaking my arm. You’re choking me. You’re doing this.” So, police hear that all the time. They—in this case, a chokehold was not illegal. It is against department regulations. But as you look carefully, I don’t think it was an intent to put him in a chokehold, because he does move the baton as he brings him down. Also, people are saying very casually that this was done out of racial motives or violation of civil rights. There’s not a hint there that anyone used any racial epithet. And also, what’s not mentioned is the senior officer on the spot, who was there at the location, was an African-American female sergeant. So, I don’t know where the racial angle comes in. I have no doubt, if that was a 350-pound white guy, he would have been treated the same. NERMEEN SHAIKH: That was Peter King, a New York Republican congressmember. Could you respond to what he said on CNN last night? GRAHAM WEATHERSPOON: Well, evidently he saw something that I didn’t see. I didn’t see a baton used by Officer Pantaleo in that matter. The fact that there’s an African-American sergeant on the scene—we have a systemic problem in policing, and whether the officer is white or black, there seems to be a pattern of enforcement, selective enforcement, amongst people of color. Yes, he is a large guy. I’ve had to fight with guys that outweighed me by a hundred pounds by myself. As a transit cop, I did it. And I didn’t kill anybody in the process. The problem we have today is that officers are not considering the well-being of an individual in the performance of their job. This was not a life-and-death scenario. No one should lose their life because they’re selling loosies or because they broke up a fight and they have a pattern of having sold loosies in the past. AMY GOODMAN: I mean, I think that’s actually what the story was, right? AMY GOODMAN: He wasn’t even selling loose cigarettes on that day. AMY GOODMAN: So he kept doing it. GRAHAM WEATHERSPOON: —he was diabetic, he was overweight, and all—those were nonfactors. He was not in distress when the officers came to him. When does your humanity kick in, as Reverend Sharpton asked? When does your humanity come in? When is it that you fail to understand, or why is it you fail to understand that a person is saying, “I cannot breathe”? There are other criminals—I don’t know what charges were presented to the grand jury, but I have a list of about eight or nine criminal charges that could have been proferred against these officers. And we don’t know what was presented to the grand jury. Criminal negligence—how do you disregard a person’s lament in saying, “I can’t breathe”? It should register in your mind that the person can’t breathe; they will die if we hold him in this position long enough. AMY GOODMAN: —consider them human. GRAHAM WEATHERSPOON: Which considers—you know, it causes you to believe this sense of inhumanity that’s running through our society. This is a systemic problem, not just with police officers, but with the general population. Violence and the disregard for human life is a critical issue, and we’re not addressing it. Yes, race is also a factor. You know, that is the main cancer of the society here, and no one wants to look at the patient, no one wants to examine the patient, and no one is trying to heal the patient. And as a result—we talked about Ebola for a few months. Everybody was concerned about catching Ebola. Racism is affecting the entire planet, and no one is addressing it. It’s the elephant in the room. President Obama can’t discuss. He’s a black man being called everything but the N-word to his face, and I’m sure he’s been called the N-word from the time he got in office by some of the people sitting in the United States Congress. But nobody wants to discuss the illness and the cancer of racism. We have xenophobic people in the New York City Police Department. There were officers that I worked with that never interacted with an African American until they came to the police department. That is absurd. 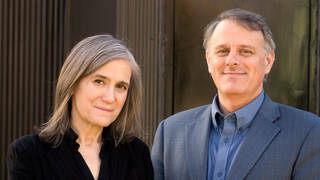 AMY GOODMAN: And what is the effect of them not living in the community? I mean, there still is the five-borough rule, is there not? GRAHAM WEATHERSPOON: No, that went out the window many years ago. AMY GOODMAN: —but actually they live out in Rockland County or out in the suburbs. AMY GOODMAN: Because they have a residency rule. AMY GOODMAN: I mean, it’s quite something that you have the mayor himself saying he fears for his black son, he’s warning him all the time. I mean, basically, Mayor de Blasio is the commander-in-chief of the New York Police Department, and he fears for his employees hurting his own son. GRAHAM WEATHERSPOON: It is a reality. I heard Eric Holder speaking at a conference with Reverend Sharpton a couple years ago. He said the same thing. He said he never thought that he would have to sit down and discuss how to handle himself when interacting with the police, as his father did with him when he was growing up. But unfortunately, nothing has changed. We must address the quality of people we’re hiring. We need a better method of screening them. I don’t know why it is that we can’t go back to the cop that lived in the neighborhood. You know, when I was a police officer, I lived in Brooklyn, in Clinton Hill. My neighbors knew me. If there was a problem, they came to me. And there were a number of police officers that lived in our block. And the relationships were always great with the police officers. You know, we need people—and another thing, they talk about the diversity, where they’re hiring so many people from different countries. Well, people coming here to New York have many preconceived notions about African Americans in their heads—even blacks coming from foreign countries, because they’re fed a lot of nonsense. In the Sean Bell case, the initial officer who started the situation was a Haitian officer, if you remember. All right? That’s a whole dynamic beyond the white-black issue. And we need to see how racism affects African Americans, how it affects alleged West Indians and people from the Caribbean, and how it affects Indians and Asians and other people coming here, and how they interact and can see black people. And that racism is put out through media. People have these notions. And they come here, and they join the police department, and it’s carried out. So, just as Willie Lynch wrote, it’s a self-perpetuating scenario. And we’re not looking at how race is tearing this country apart. AMY GOODMAN: Graham Weatherspoon, thank you so much for being with us, a retired detective with the New York City Police Department. We’ll have more with him on Friday’s Democracy Now! I’m Amy Goodman, with Nermeen Shaikh.